I am wondering if it is possible to make a custom screensaver using GIMP. I am at present doing some work for a non-profit group, they have a college attached to them to generate funds and think it would be professional if they had there own screensaver. I made them a desktop wallpaper with there name done in funky lettering and it looks great the way it is all uniform in styling. One time, and I am old enough to remember, with a monochrome CRT monitor you could get a 'burn-in' ghost image on the monitor phosphors. The old screen savers would cycle images or have some sort of animated image to prevent this 'burn-in'. Typically a windoze .scr file. Some pointers on your other post on GC to make these. Not really a problem these days with solid-state monitors. 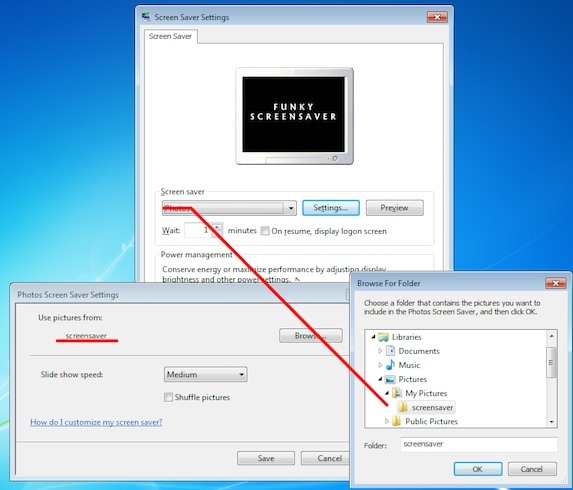 Windoze will allow you to use a single file or a folder of images as a screen saver, all that is needed is to set it up. Export from Gimp as jpg images or whatever works.